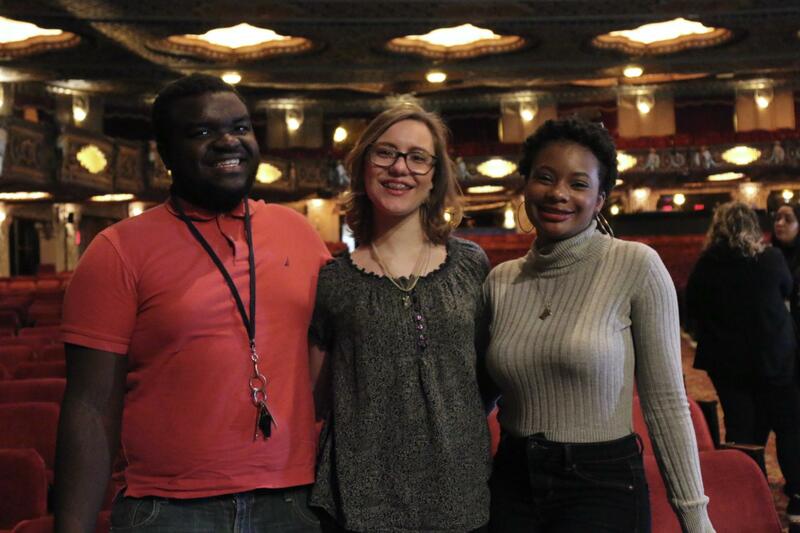 McCluer North High School students Dacia Slater, Dylan Bozeman and Payton Woodruff sang an original piece about Thomas Paine in front of 3,900 students and the touring Hamilton Cast at the Fox Theatre on April 11. (L-R) McCluer North High School students Dylan Bozeman, Payton Woodruff and Dacia Slater at the Fox Theatre in St. Louis. Members of the touring "Hamilton" cast answered students' questions about their acting experience. McCluer North social studies teacher Adam Bender (far right) joined by McCluer North students and principals outside the Fox Theatre in St. Louis on April 11. 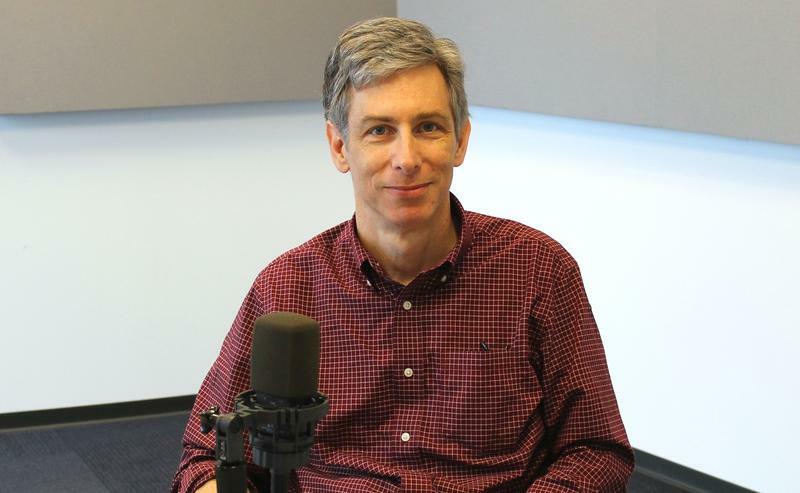 They were among students from 42 schools across the region participating in the Hamilton Education Program created by the Gilder Lehrman Institute of American History. 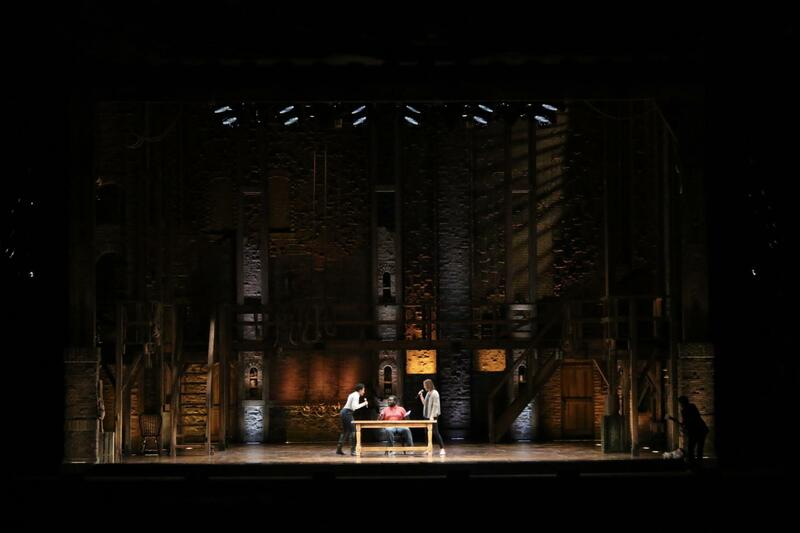 The program, also known as EduHam, allows public high schools from lower-income areas the opportunity to see and learn American history through "Hamilton." 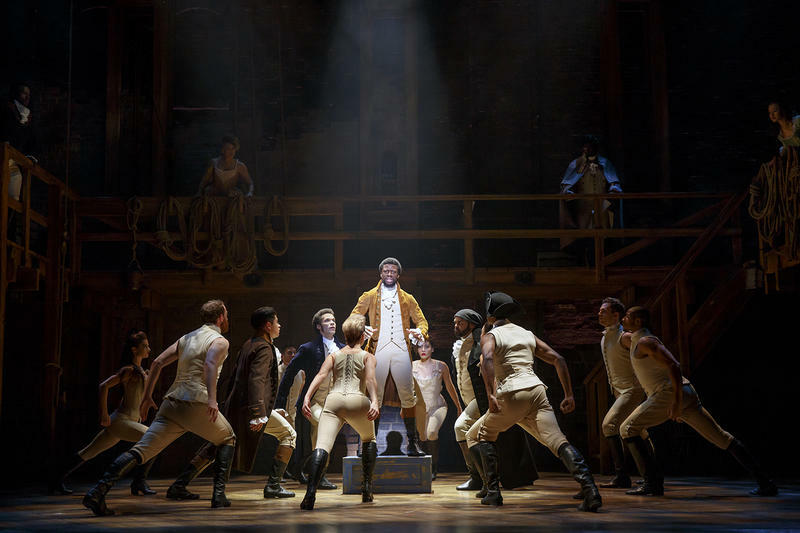 Amy DiChristina, manager of the Hamilton Education Program, said the program’s goal is to open up access to the musical to students who might not otherwise be able to watch “Hamilton” or be familiar with theater. Students participating in the education program were able to see the musical for only $10. The musical is known for its multi-ethnic cast, which has prompted many conversations about race. “Just the mere fact that [students] are being exposed to performers that look like them … really kind of opens up the students to think about things in a different way,” DiChristina said. 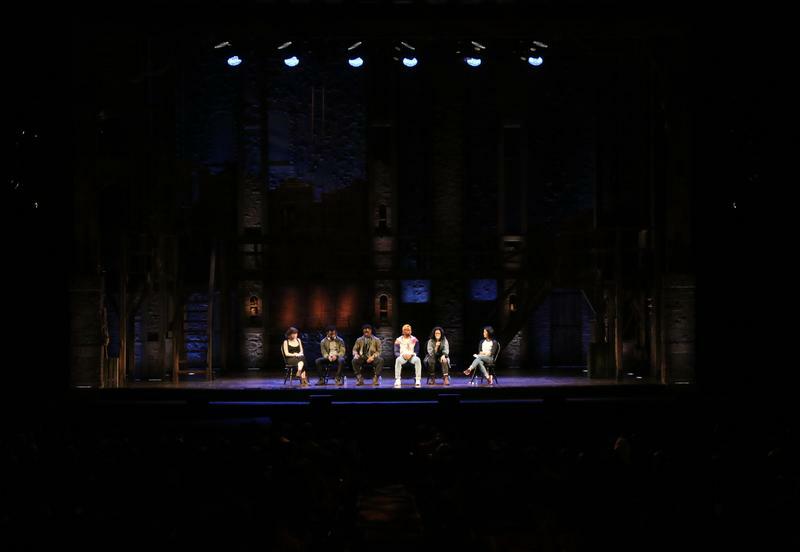 Part of EduHam’s curriculum includes a website that incorporates interviews of original cast members talking about how they felt being people of color portraying the white Founding Fathers, such as George Washington and Thomas Jefferson. McCluer North social studies teacher Adam Bender incorporated the EduHam curriculum into his American Studies class. At first, he said he didn’t know much about “Hamilton” besides it being a pop-culture phenomenon. He then came across Gilder Lehrman’s program when a friend tagged him in a Facebook post calling for school submissions. He applied for the opportunity and was selected six months later, in early March. “The next day I immediately was like ‘Hey, anybody want to go to ‘Hamilton?’” And everyone was super excited,” Bender said. After the performance, Bender reflected on the whole program with his students in class. DiChristina said she hopes to see teachers use other Gilder Lehrman resources to continue in-depth research using primary documents for other creative projects. “The curriculum that we give them for this program is easy replicable with other parts of American or world history,” she said. Since his classes are intensive and lecture-based, Bender said EduHam was a “nice supplement” to what he normally does, in addition to the other creative projects he assigns. As part of the program, 35 students were chosen to perform original songs in front of nearly 4,000 people at the Fox Theatre, including the touring cast of the musical. Bender reached out to acting students Dylan Bozeman, Payton Woodruff and Dacia Slater to submit a performance piece to represent McCluer North, a high school in Florissant. Other participating schools included Grand Center Arts Academy and Confluence Preparatory Academy. “[Bozeman, Woodruff and Slater] came up with this really good creative piece and it was super impressive and I guess the Gilder Lehrman people agreed because they obviously got selected,” Bender said. As someone who’s been to every EduHam in various cities, DiChristina said the St. Louis students were some of the best she’s ever seen. St. Louisans who missed out on “Hamilton” tickets now have a chance to see the sold-out musical — for the cost of a box of popcorn. On Monday, the Fox Theater announced a lottery in which 40 orchestra-level tickets for every performance will go for $10 each. The lottery begins April 1 for the April 3 opening night. Lottery participants can enter only once for the chance to get two tickets. It’s no secret that there’s a renewed interest in the role Alexander Hamilton played in founding the United States. Portrayed in the Broadway musical “Hamilton,” the nation’s first treasury secretary and many of the Founding Fathers are brought to life by the show’s creator and star, Lin-Manuel Miranda. 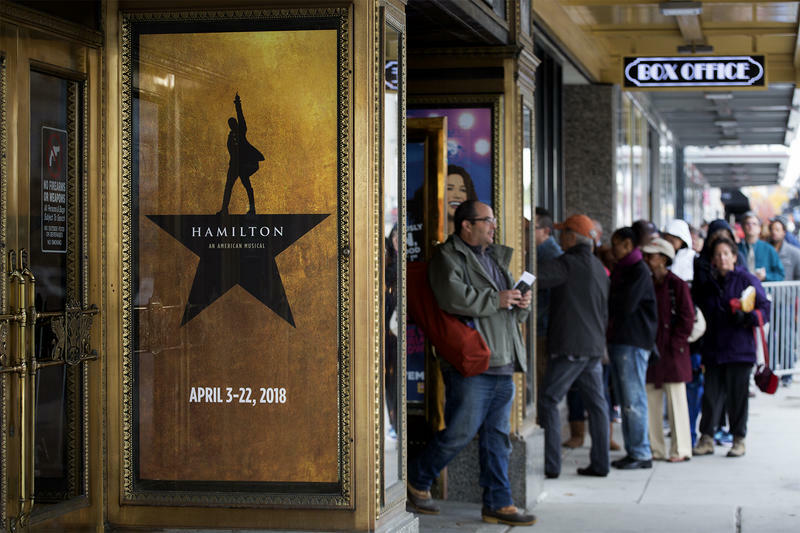 After standing in line, waiting in online queues and forking out big bucks, St. Louisans will be able see “Hamilton” in their hometown. Lin-Manuel Miranda’s blend of musical theater, hip-hop, blues, jazz and rap begins Tuesday night and runs through April 22 at The Fox Theatre. The musical turns traditional casting on its head, with actors of color playing the men who shaped the nation, including the first Treasury Secretary Alexander Hamilton and Vice President Aaron Burr.